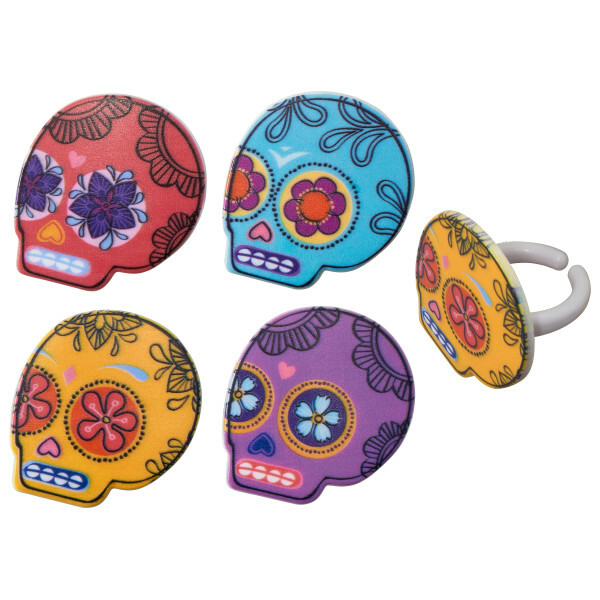 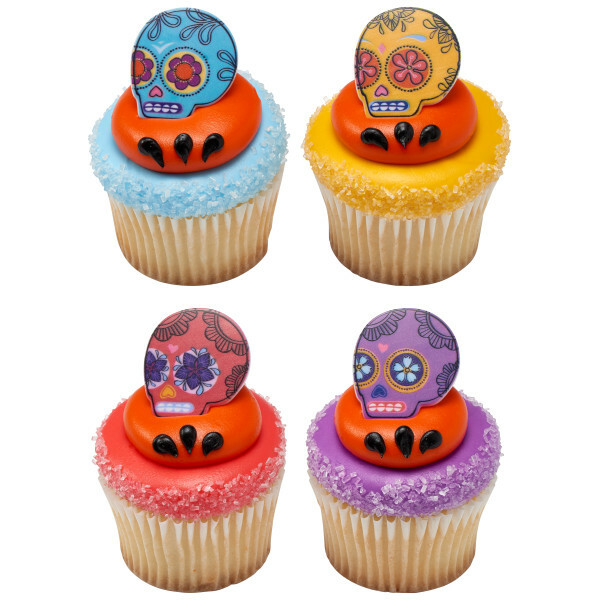 Celebrate Día de los Muertos with these colorful skull rings. 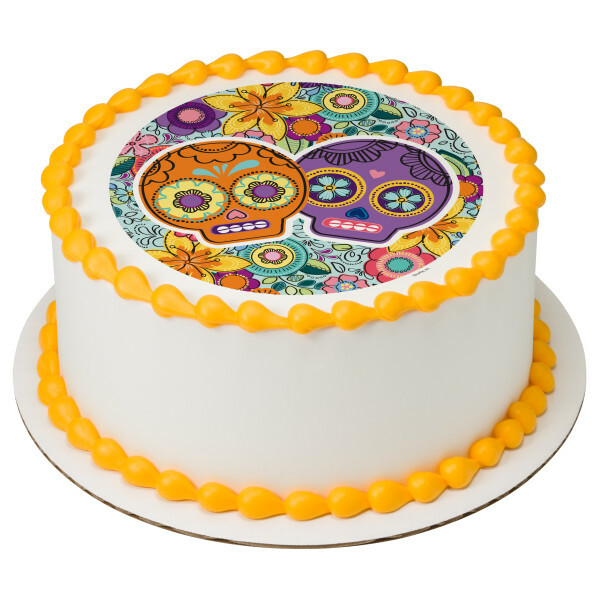 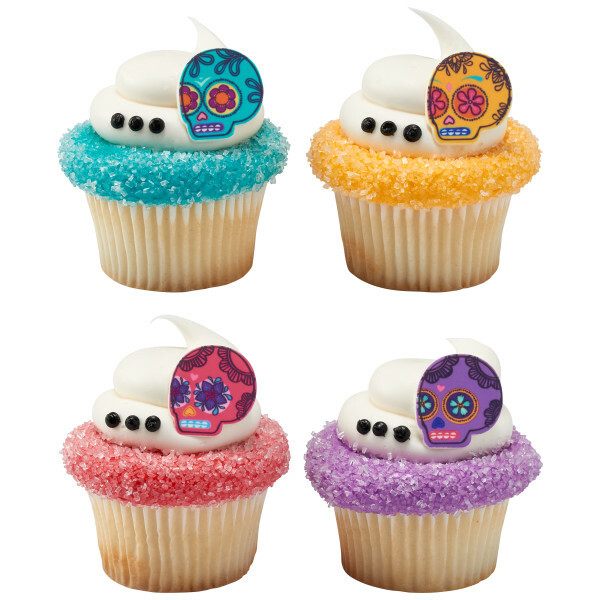 Assortment includes colors of light blue, yellow, pink and purple skulls. 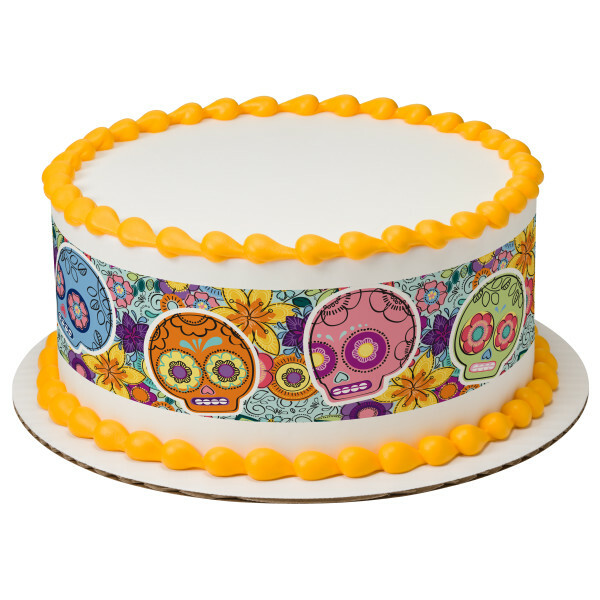 Great for cupcakes, donuts, or even finish off the look of a cake. 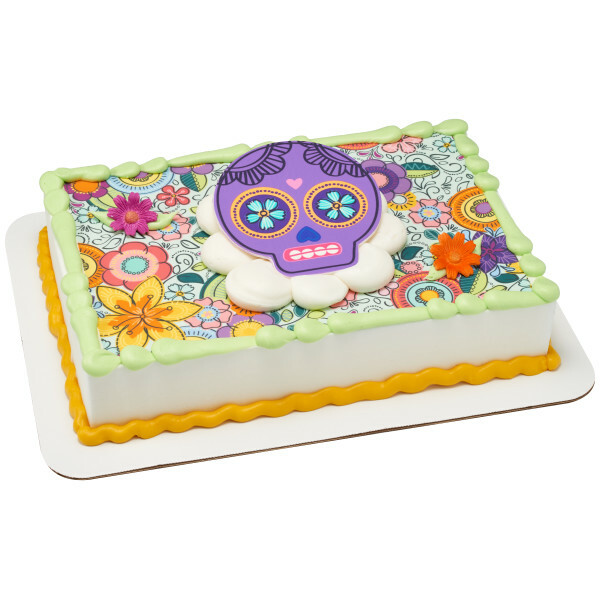 Made with food-safe plastic.